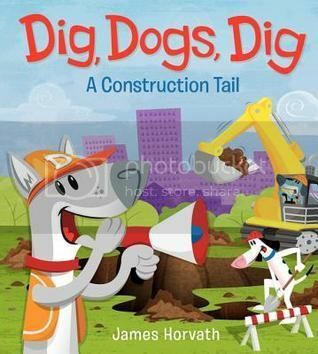 Go, Dog, Go meets your favorite construction book in this entertaining rhyming picture book. The dogs living situation is a bit reminiscent of a firehouse - but these dogs are ready for some construction work instead. Even the lines such as, "Run, dogs, run!" and "Dig, dogs, dig!" reminded me of Go, Dog, Go. They uncover a dinosaur bone, while building a park that eventually the whole community can enjoy. Colorful digital illustrations with plenty of full-bleed pages are vibrant and appealing. Endpages feature a lineup of the dogs, each posed with their tools. 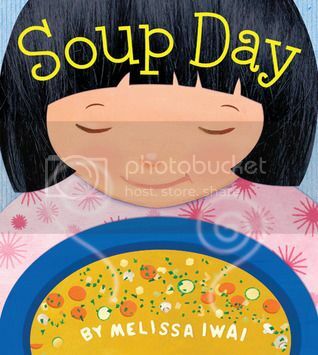 Multi-media collage illustrations depict a happy little girl's day and the soup she makes with her Mommy on a wintry day in the city. This is a nice multicultural family and plenty of concepts such as counting or shapes are included throughout. The story is appended with a recipe for soup. 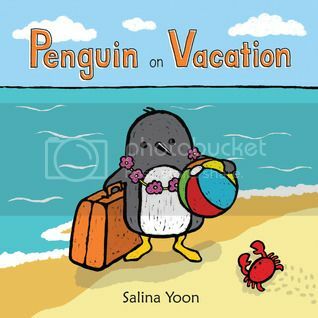 Here is an adorable story about a penguin who gets tired of the cold and decides to head for warmer climes. In the tropics, he's no good at vacationing - the sunny beach is not the place for skiing, sledding and skating, like he's used to. Fortunately, he makes a new friend, a crab who is able to show him the ropes. Penguin returns the favor by hosting Crab when he comes to visit the Antarctic. Endpages feature crabs on a beach... and crabs bundled up for the snow. Colorful full-bleed pages featuring digital art with thick lines make the pictures easy to see from a distance. This is a natural pick for group story times. In this wacky tale, pirates and cowboys have an unlikely showdown in a saloon in Old Cheeanne. 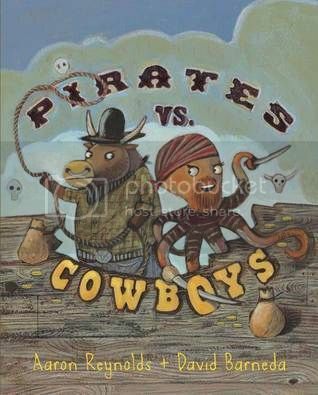 Older children will enjoy the heavy use of vernacular from both the pirates and cowboys. Pegleg Highnoon is the only character who can speak both fluent Pirate and Cowboy - and finds the only thing they all really have in common is the need for a bath! The dialect is what makes this a favorite at storytime for me, especially with children old enough to get the sense of humor. Endpages feature pirate treasure maps and a map of the Old West.